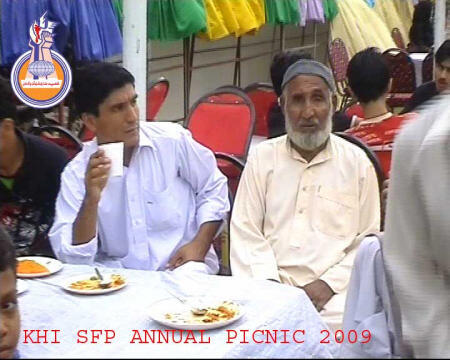 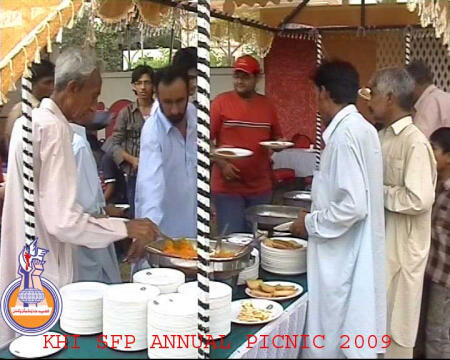 Shaheed Foundation Pakistan arranges picnic for the families of shuhda-e-millat-e-Jaffaria Pakistan every year in summer vacations. 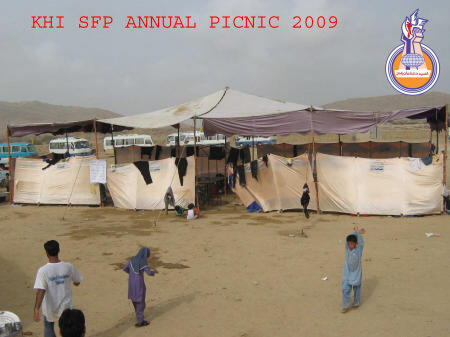 It is one of the annual programs of Shaheed Foundation Pakistan. 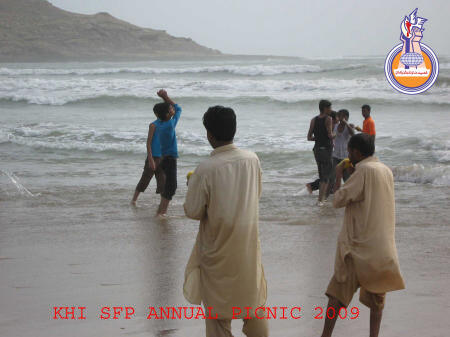 In this year it was celebrated in Karachi and Multan and in rest of the cities it will be arranged later on in these vacations. 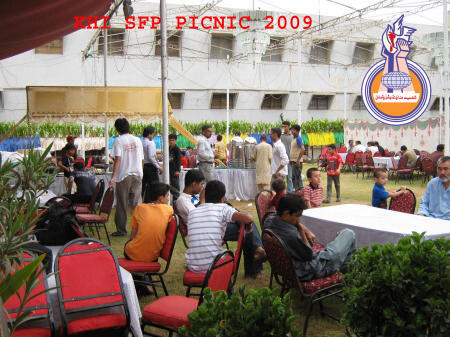 In these picnics various types of sports and contests are exercised. 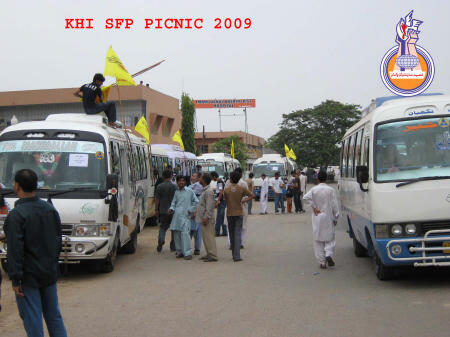 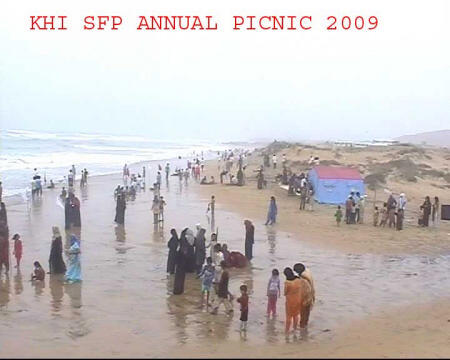 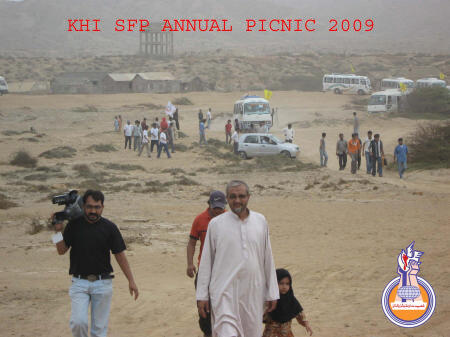 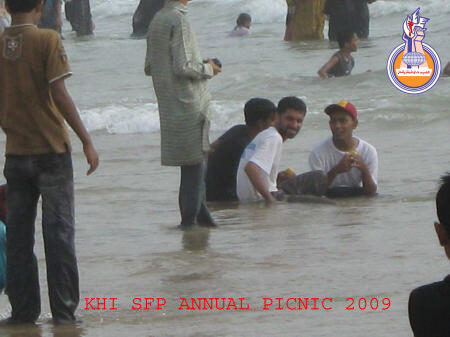 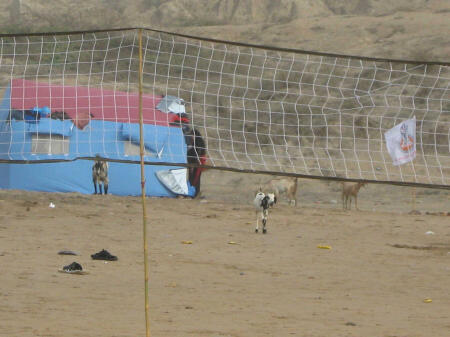 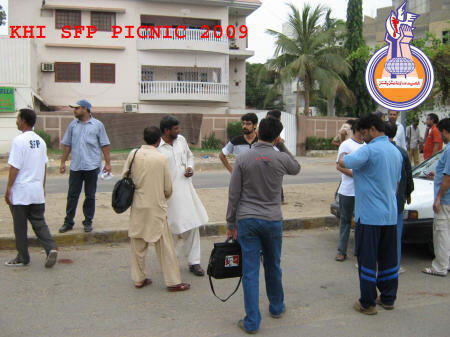 In Karachi it was arranged on Friday 10th July 2009 in which three hundred and sixty people participated. 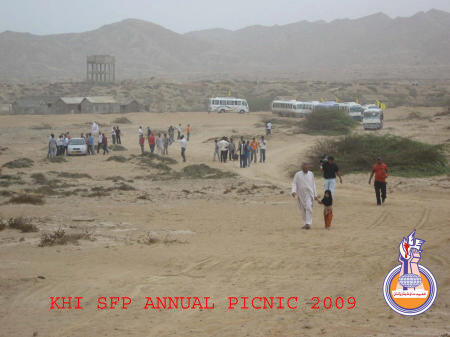 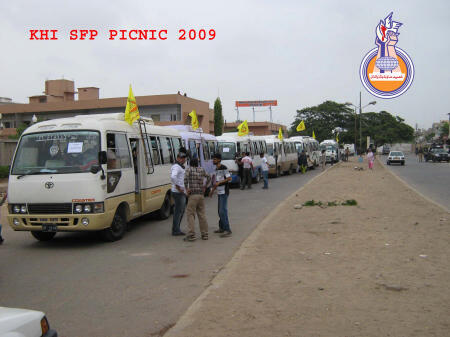 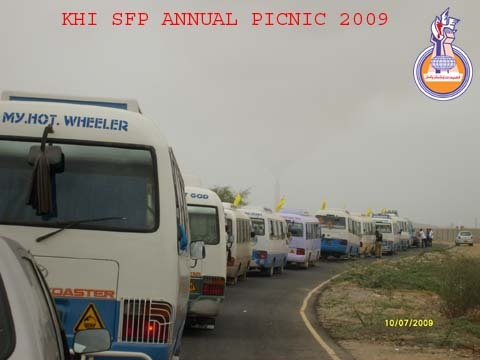 Shaheed Foundation organized various committees for commemorating the picnic activities , like transport committee, food committee, sports committee, security committee and water committee who performed their duties very well. 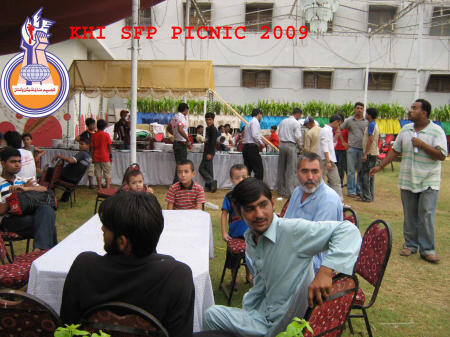 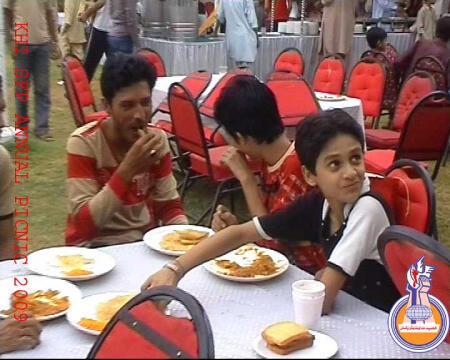 Families gathered from all over the city at Rizvia Society at 8:00 A.M morning where they enjoyed breakfast at Rizvia Lawn. 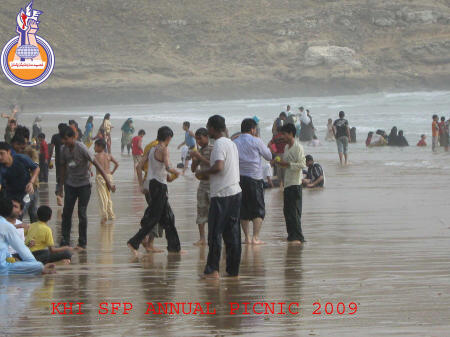 After having break fast families departed for Picnic towards Mubarak Village, a beautiful seaside area. 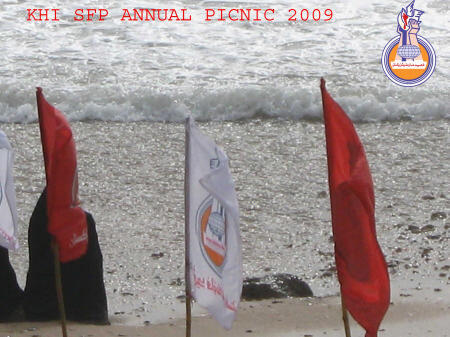 People enjoyed swimming in the sea, SFP swimmers and Water committee drew a borderline by fixing long sticks in water binding with ropes so that no body can across the boundries. 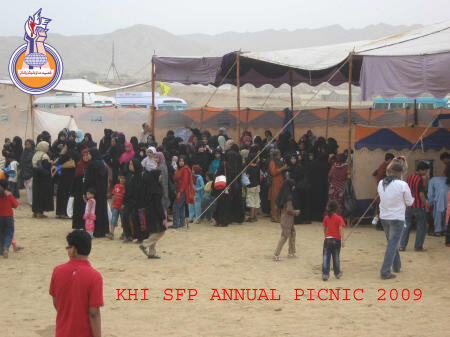 A schedule for various activities was hanged in ladies and gents portion separately. 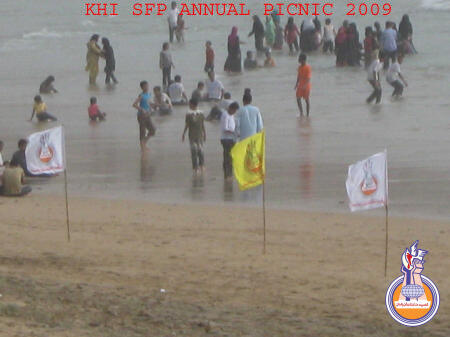 According to schedule all people gathered for Zuhrain Prayer at 2:00 PM. 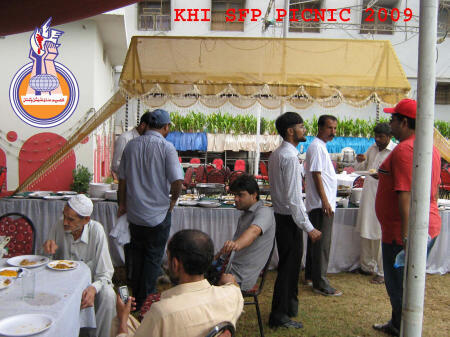 At 2:30 lunch served first in ladies then in gents. 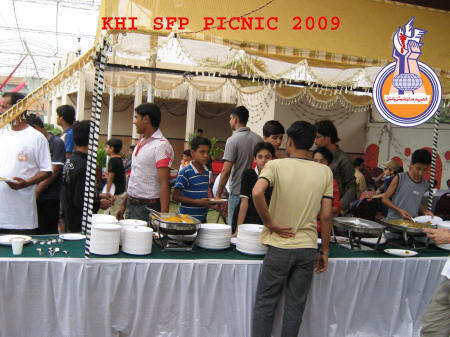 After having lunch various sports activities started like cricket, volleyball, racing, and abseiling and camel riding, during these mangoes distributed in all people. 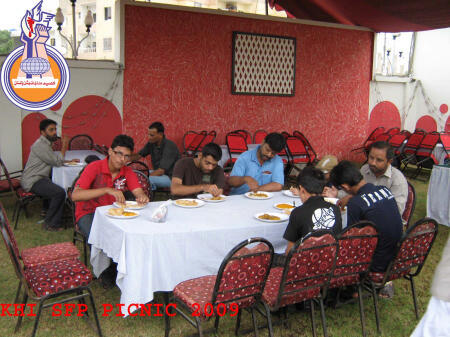 Before leaving to homes tea was served and about 7:30 PM the picnic point was left.